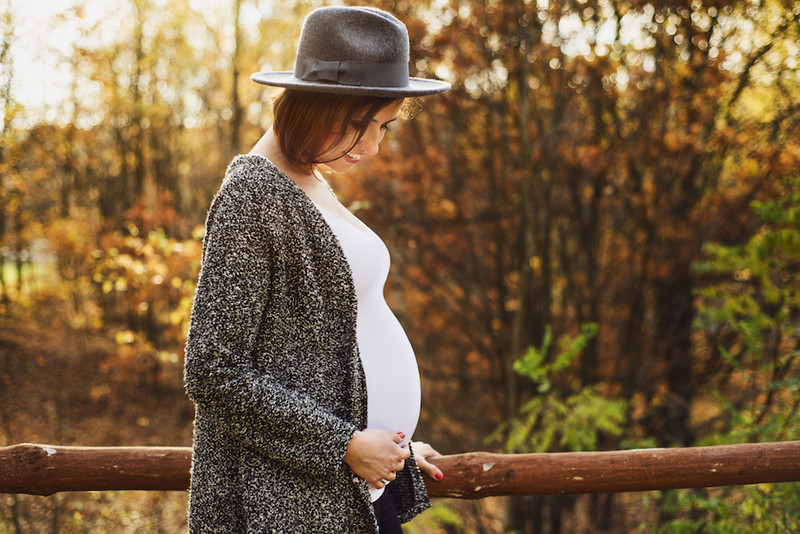 Being pregnant shouldn't hold you back from having awesome style! You also don't need to break the bank for an entire new wardrobe when these are clothes that can only be worn for nine months. With a little planning, you'll be able to fill your closet with signature pieces you love Here a few staples you should have! The dress pictured above via Pink Peonies is stunning and full of color, making for a solid investment in your wardrobe! For a little more casual look, we like this Flowy Maternity Dress , which is beautiful and under $30. You'll want to live in it, especially if you're carrying your baby through a long winter. Our favorite style is currently the Off the Shoulder look. Try a beautiful Cream Color or a Dark Grey. For a form fit, check out this Cowl Neck Sweater that comes in navy, brown, blue, or black. For casual wear, slip into these beautiful Jade Linen Maternity Pants and style with a basic top and flats. If you are headed to work, these Tailored Black Cropped Maternity Pants (pictured above) are ideal for a professional environment with their flattering fit and an ultra soft over the bump band. For a chic and edgy look, take it from Kristin Cavallari and rock some leather pants! Take it from Hilary Duff (pictured above), accessorizing the bump is the best and most fun part of pregnancy! Play with scarfs and chunky necklaces. Follow our New Mom Fashion Pinterest board for more ideas on styling the bump!